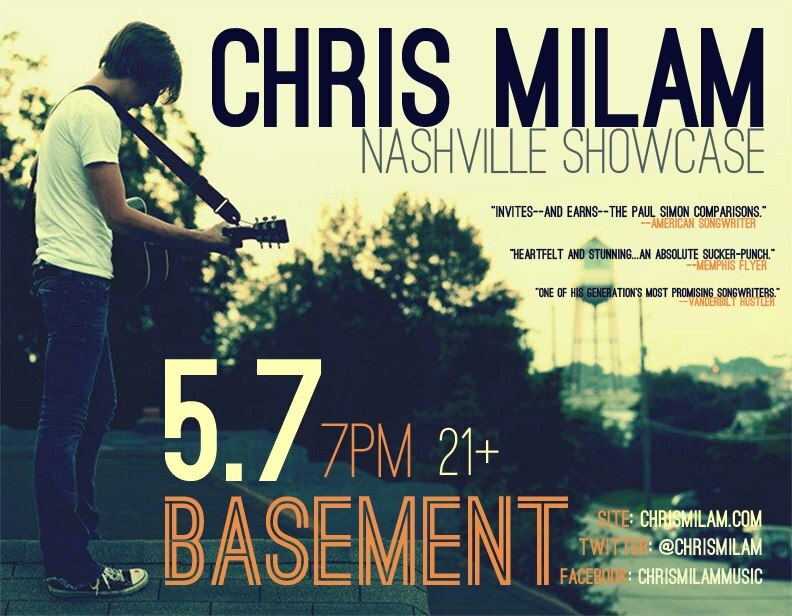 Nashville, mark your calendars because Chris Milam will be bringing his best in less than 2 weeks when he comes to The Basement for his official industry showcase on May 7! Chris will perform at 7 p.m. sharp and the cover is free. You can RSVP and find more details about Chris’ Nashville Showcase here. And if you can’t wait that long — Chris will be hosting his very own StageIt concert tonight at 7:30 p.m. You can name your own price for access to the live stream here, which will put you front row for your very own intimate performance!